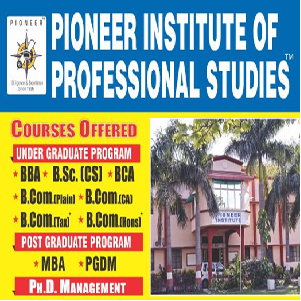 To minimize the gap of professional education and corporate culture Pioneer Institute organized industry visit for their management professionals. TIME: 10:00 A. M. - 3:00 P. M.
CONTACT PERSON:- Mr. N.K. Kavadia Strategic Head, Mr. Jain, Mr. Joshi, Mr. Satish Jain, Major Gupta from HR, IR & Production Department. Wearit Group has its roots in the lush green gardens of Dehradun and Assam. It was conceptualized and set up from humble beginnings, but with clear vision and foresight, by one of the first Indian families in the Tea Industry. What started out as a modest venture in the 1920s, has now transformed into a conglomerate of companies with varied interests, from Tea to Textiles to Renewable Energy. The Group has come a long way, establishing a wide customer base for its textile yarns (cotton and synthetics) in Europe, United States, Middle East and also in the Far East. However, even today, it continues to strive for growth while catering to its clients/customers pan-India. Ritspin Synthetics is the India’s top most exporter company of cotton and synthetic yarns to the world market. Everybody is now more concerned about the clothing’s and this industry depends upon the one thing that is cotton. Students get a chance to know about the journey of cotton seed from a field of cotton farmer to its finished product i.e. yarn this whole process involved manual working, use of semi-automatic machines, automatic machine, and also use of hi tech machines to shape the final outcome and clear all the quality check points successfully.